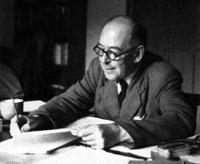 During the Easter weekend, I picked up a book containing selections from the writings of CS Lewis. One of the pages I read whist flicking through concerned novelty. As I read it, I realised that what he was describing was the counter-impulse to adventure, about which I had just written. That’s why it is important to emphasise that God isn’t just a ‘cosmic killjoy’. He does want us to find joy and fulfilment, but he knows that we find that most fully in discovering the joy of the rhythm of life, and the adventure of giving ourselves to Him and to others. Through commitment and stability once the novelty wears off, we find something richer and deeper than we will ever find by flitting from one thrill to the next, always seeking the new buzz and the fresh experience.